Mobile backend as a service (MBaaS) is a capability offered on IBM Bluemix. It enables developers to quickly integrate their mobile apps with backend functions all in the cloud. A developer can incorporate specific capabilities such as location services, push, or content management as well as have access to business logic and app performance analytics. I was tasked with creating a series of dashboard analytics for developers to monitor their backend services for push, API calls, number of devices and storage usage. 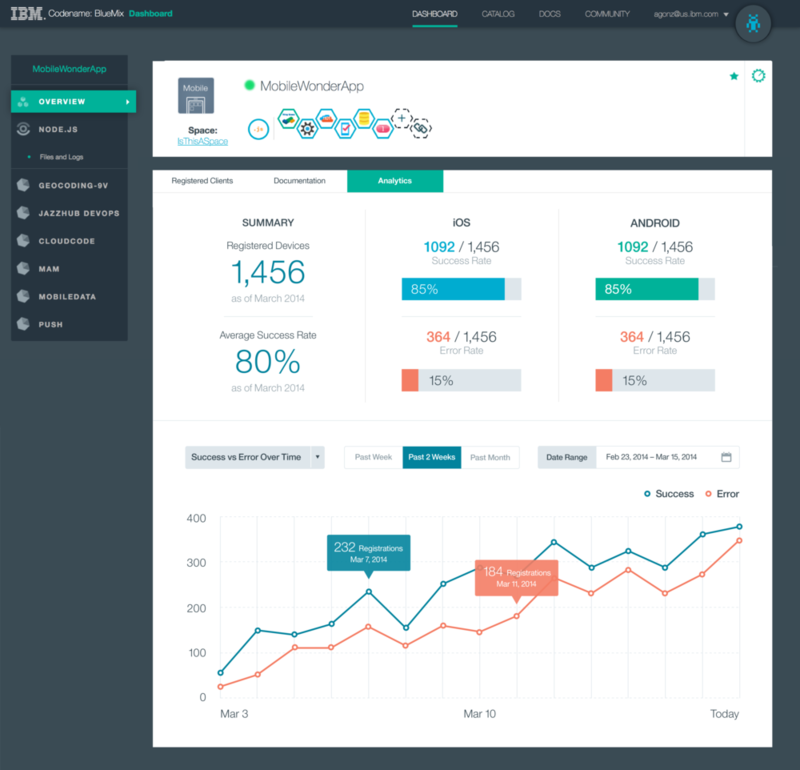 I worked with my extended team to identify key performance indicators and collaborated with Bluemix Platform designers on the presentation and styling of charts and graphs in the UI. Bundles of services are advertised on the Bluemix Platform as Boilerplates. These banners concepts were created for the mobile starter kit featured in the Bluemix catalog. The background imagery was created in Adobe Illustrator.